injection molding machine will cause material bridging and difficult discharging. SBH -160U can make the material in compulsive loading and discharging. With bridge- breaking structure and screw blades welded at the end part, it can help the material go into the barrel smoothly. 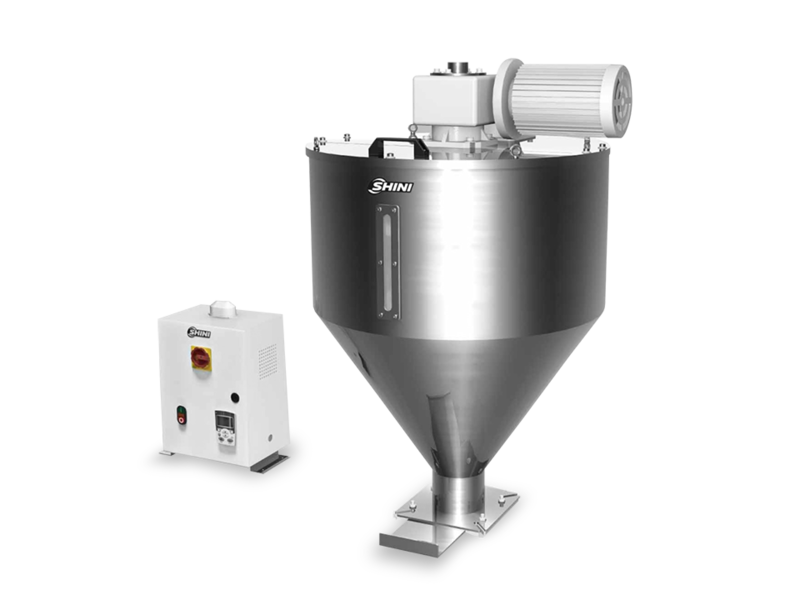 There is a supporting structure of rotating shaft inside the hopper for stable operation. Equipped with inverter, it allows to adjust the discharge speed according to the production demand. Detachable parts for the top (cover, gear motor and screw) for easy clean. Equipped with adapter flanges, it can work with SAL-330/360 series to realize auto feeding. Equipped with transitional flange,it can collocate with SAL-330/360. The loader should be of bridge-breaking design. Equipped with rotary material level sensor as its high material level.